A long time ago, in an economy (and automobile market) far, far away, GM offered a multitude of crossovers and SUVs. Nearly half a dozen, barely different from each other other than the badge. 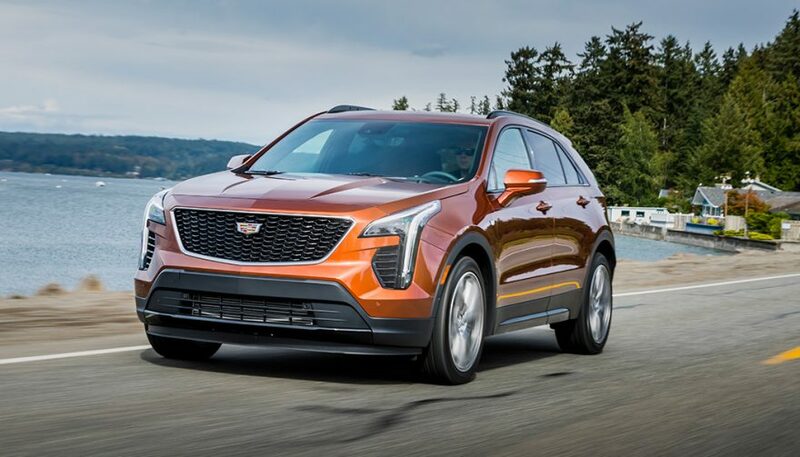 The Cadillac XT4 is the fourth compact crossover to arrive in the General’s 2019 lineup. It’s also pitched as being the most luxurious. So is the all-new XT4 just another rebadge, or is this a real advance in the revitalization of the storied brand? There’s no problem with having multiple vehicles with a similar mission. Nearly every automaker does it, to some extent. Different badges for different needs. Like Lexus to Toyota, Lincoln to Ford, and Cadillac to Buick, Chevrolet, and GMC. The key is to make your vehicles different where it matters. 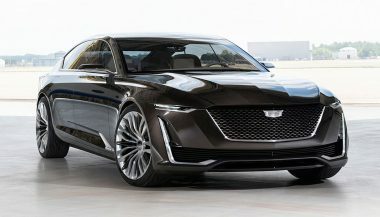 So how did they differentiate the Cadillac XT4 from the Terrain, Equinox, and Envision? Well, by putting it on a different platform, for a start. This compact crossover takes its bones from the Buick Regal, which is itself an Opel Insignia. It’s a more expensive and more premium platform than the Cruze-based bones of the others. If you weren’t sure just how different it was, the filler neck is on the passenger side, not the driver side of most GM vehicles. So it makes sense that it has a unique driveline, too. 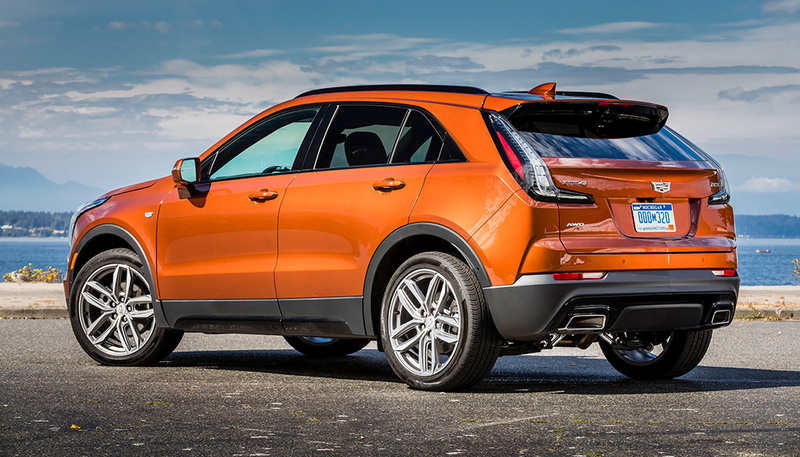 Under the hood of the XT4 is a 2.0L four-cylinder, but this is a refined version compared with GM’s other double-litre engines. It makes 237 hp and 258 lb-ft of torque. The engine is quiet and refined and delivers that torque as a smooth shove from 1,500 all the way to 4,000 rpm. Even at wide throttle and high rpm, this one stays quiet. That’s probably helped out by the active noise cancellation system that’s standard across the board. It uses the speakers from the Bose stereo to cancel out the noise of the engine and roadway. Power is sent through a nine-speed automatic. The gearbox is nearly seamless, especially by the often busy standard set by so many other seven and up-speed autos. Downshifts come quickly when you’re asking for more power and upshifts happen snappily enough to make sure you’re not at a higher RPM than you want to be. It’s not sporty, but it’s smooth. Unobtrusive. Which largely sums up the Cadillac XT4. On the inside, a premium crossover needs to, well, feel premium. And look it, too. 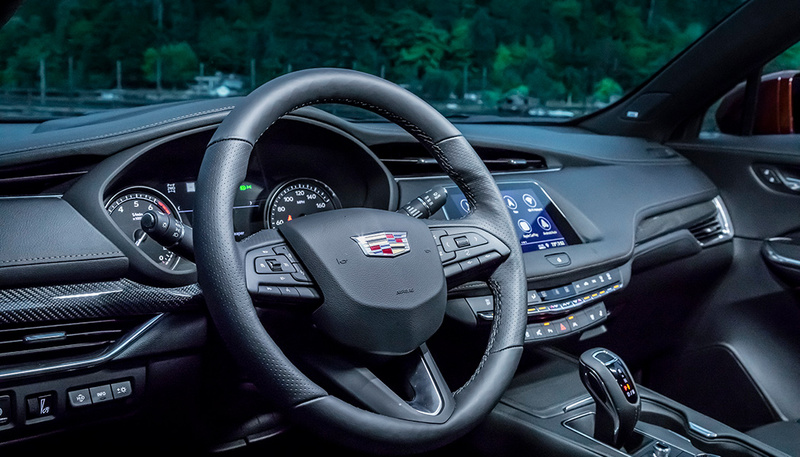 To fit the part, Cadillac has loaded it up with soft-touch plastics just about everywhere you’re likely to be putting your hands. Plus a few you aren’t. They’ve also brought the company’s gorgeous peanut butter interior (it’s called Sedona if you check the options list) along. 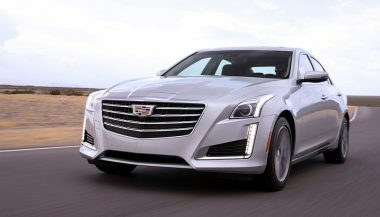 The infotainment system uses an 8.0-inch touchscreen, but Cadillac is using a new system behind the scenes. It’s quicker to respond and easier to use. There are also physical controls for the climate control and the surprise in this class of massaging seats. Below the console gearshift is the biggest addition to the company’s infotainment. There’s a rotary controller and a volume knob. They’re right at hand, easy to operate, and are all-around better to use than touch-only options. Look even further back and there’s a wireless charging spot hidden in the armrest. It’s adjustable to hold different sized phones more securely and the end of the armrest location is very convenient. If you’re sitting up front, there’s plenty of room for head, leg, and width. In the back, it’s still roomy, but the location of the back of the panoramic roof frame and the place a tall person’s head would sit are one of the same. So six-foot plus passengers might not be fans. If the back seat reclined just a touch, it would make a world of difference. Similarly, while the Cadillac XT4 has a very striking sloping rear glass, it cuts into rear cargo space. Leaving just 22.5 cubic feet behind the rear seats, which is on the small end of the segment. On the road, this is a firm crossover. You’re going to notice bumps, especially if you’ve optioned the 20-inch wheels. Any bump or pothole of note sends a strong thunk through the cabin. For a vehicle that’s otherwise highly refined to the touch and ear, it’s a big out of place. The XT4 is competent in the corners, though. 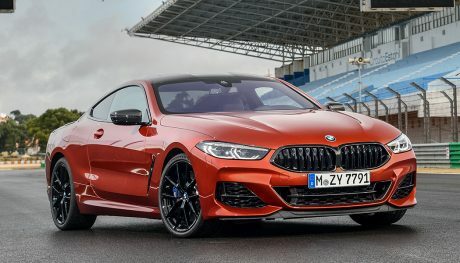 That stiff suspension limits body roll, and the twin-clutch all-wheel drive shifts power around to balance the nose. But it’s not going to encourage you to toss it into a corner. 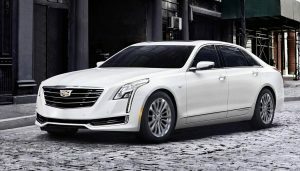 Though Cadillac does offer a Sport trim instead of my Premium Luxury model that has a continuously variable adaptive suspension that might fix both ride and handling. 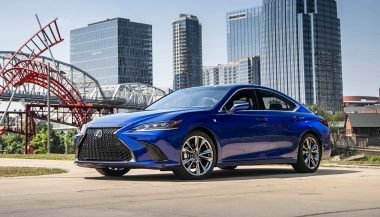 Suitably, since the base trim level is called Luxury, it comes loaded with a surprising amount of kit for the mid-$30k price tag. Like the remote start with automatic activation of the heated seats and steering wheel, though adding that heating is an optional extra. LED headlights come standard too, with LED cabin lighting. The seats are leatherette, and there’s even a humidity sensor that changes up the amount of airflow from outside to keep things from drying out (or getting too damp) inside. Our Premium Luxury tester added silver metallic exterior trim, real leather seats, a power tailgate, rear cross traffic alert, and blind spot monitoring. Surprisingly, though, heated seats and wheel are still optional. And to get driver aids like adaptive cruise, forward and reverse emergency braking, surround-view camera, and collision alerts plus lane departure warnings you’ll need a couple of option packs. That can start running up the price. The Sport trim trades the silver trim for black and adds the adaptive suspension, but is otherwise priced like the Premium Luxury. The Cadillac XT4 offers up some of the best styling in the segment. Inside and out. Along with an excellent powertrain. Where this one suffers is in the drive, where despite the sporty looks it’s, well, a touch bland. But that might not matter to you when you’re looking back at it in the parking lot. If you’re looking for lots of stuff, a very smooth infotainment experience, and a general premium feel, then this needs to be on your list. Most importantly, it stands out from the other GM offerings in a big way.